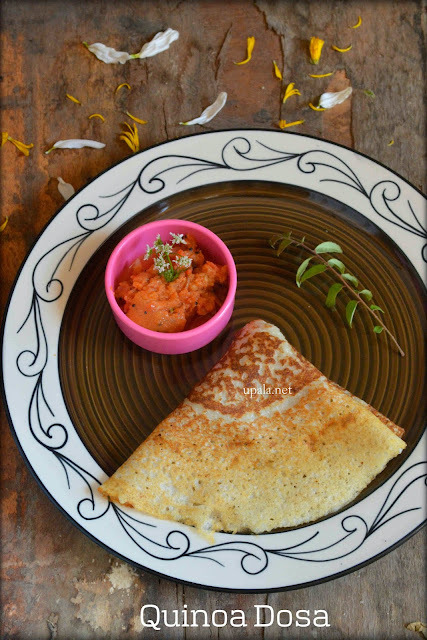 Quinoa Dosa/Quinoa crepes are tasty breakfast recipe made of protein rich gluten free super food Quinoa. 1) Wash and soak all the Ingredients together (except Salt) for 3-4 hours. Then grind them to smooth batter. 2) Add Salt and leave the batter to ferment overnight. 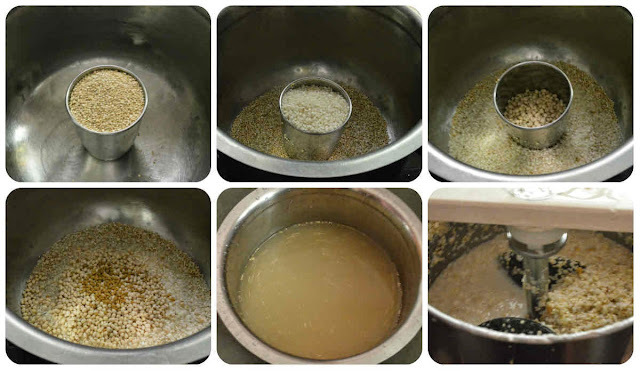 3) Next day, add water to get correct Dosa batter consistency and keep it ready. 4) Now heat a dosa tawa, drizzle oil and spread it. 5) Take a ladle full of batter and spread in circular motion. Drizzle oil on sides and close it with a lid to cook the dosa in medium flame. 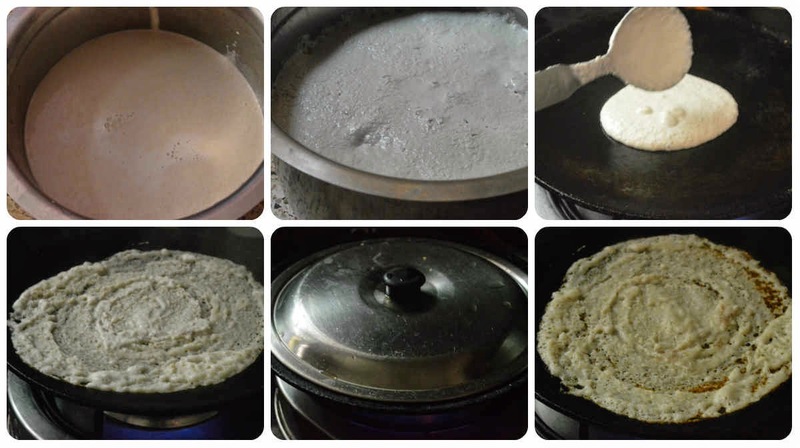 6) Open the lid after few seconds to check whether the lower side of dosa has turned light brown. Remove it from tawa and serve hot with favourite side dish. Tasty and healthy Quinoa dosa is ready. 1) Unlike our regular dosa this dosa might turn brown easily so it is better to maintain low or medium flame.